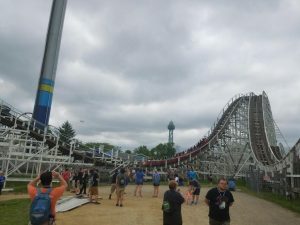 This past weekend members of Coaster Crew, including ourselves, joined hundreds of other coaster enthusiasts for the 4th annual Coasterstock at Kings Island. 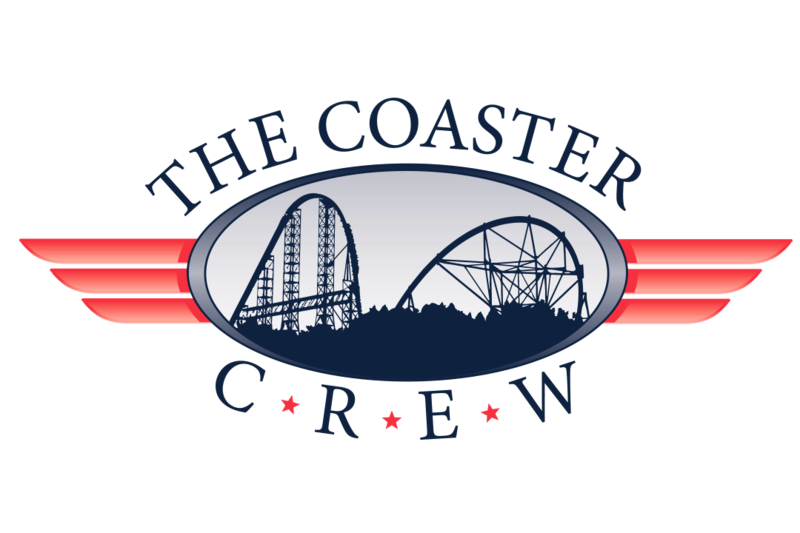 For those of you not familiar with this event, the park holds this 2 day event in May for Coaster Crew and a small handful of other approved clubs. It has plenty of ERT, behind the scenes tours, guest speakers, and much more. 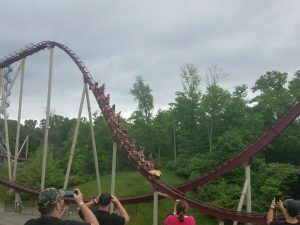 We have been to every Coasterstock and this one included several surprising extras that in our opinion made this years much more memorable. As you would expect this event begins pretty early in the day. New this year was a pre-check option, for an additional fee you could have your items shipped to you in advance of the event. We did this and thought it was well worth it not to have to get there as early to wait in line. Around 8 am the gates open and ERT began on the coasters in Action Zone. 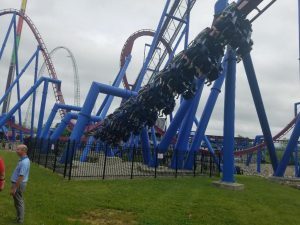 After ERT the park opened and we had the first of many Behind The Scenes tours, this one was Banshee. After that we had lunch, during which we had 2 guest speakers James Major (KI New Executive Chef) and Mike Koontz (VP/GM of KI). 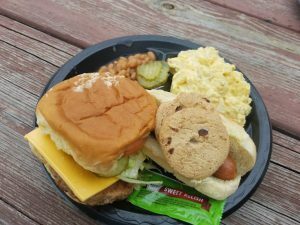 Chef Major talked about his background and the current improvements with food service including Coney BBQ and thd new burgers at Jukebox Diner and Reds HOF Grill. 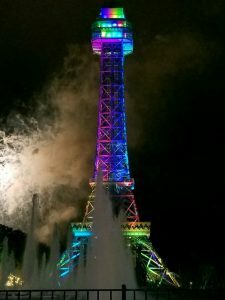 Mike talked about 2017 being a record year for attendance at Kings Island and that Winterfest would be back and expanding with Flight Of Fear and Shake, Rattle, and Roll. Not long after lunch we had an extended Racer tour. In the past we would only go so far but this year we went all the way around Blue Racer to where Blue and Red split. As a fan of the Racer this was a very nice surprise to see a new area that many don’t get to see. 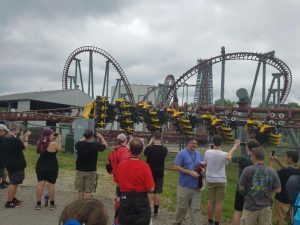 After that we had a tour of Firehawk, in which we had a very up close view of the last part of the ride. Up next was a Diamondback tour. I liked how for this year a lot of the tours were back to back. We got a pretty big break after your tours which was nice as we all got to hang out with our friends. While not part of the event the new Light and Firework show at Kings is not to be missed. And it was really exciting to share that with other coaster enthusiasts. After the fireworks it was off to ERT. For the past few years our group has always started on Backlot Stunt Coaster and this year was no different. The crew was awesome and even turned on the tunnel lights for us. If you have never riden it with the lights on its quite an experience. To end the night we had a few Legendary night rides on The Beast, followed by Mystic Timbers and Diamondback. All of which are great coasters to ride at night. What happened on day 2? find out soon!!! Keep Reading with Coasterstock Day 2!